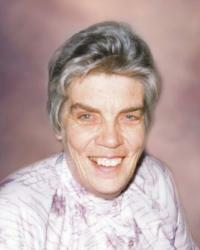 Marion was a long serving teacher and physical education administrator for Edmonton Public Schools, and a member of many organizations dedicated to the improvement of physical education and health programs. Marion was predeceased by her parents; 2 brothers and 1 sister. She leaves numerous nieces, nephews, cousins and friends. The family extends their heartfelt thanks to Dr. Lai Man Mah and the wonderful staff at the Good Samaritan Southgate Care Centre. A Memorial Service will be held at Knox-Metropolitan United Church, 8307-109 Street, Edmonton on Tuesday, January 20, 2015 at 2:00 p.m. In lieu of flowers, donations may be made to the Alzheimer Society of Alberta, 10531 Kingsway Avenue, Edmonton, AB, T5H 4K1 or to Knox-Metropolitan United Church.